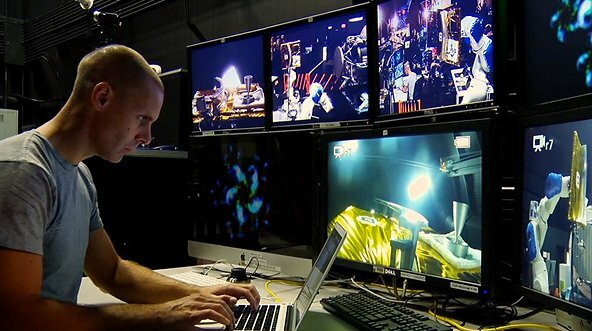 Following six historic days of operations aboard the International Space Station, NASA’s Robotic Refueling Mission, or RRM, demonstrated remotely controlled robots using current-day technology could refuel satellites not designed to be serviced. RRM tests from January 14-25 culminated in a first-of-its-kind robotic fluid transfer, a demonstration that could be a catalyst to expanded robotic satellite-servicing capabilities and lead to a greener, more sustainable space. 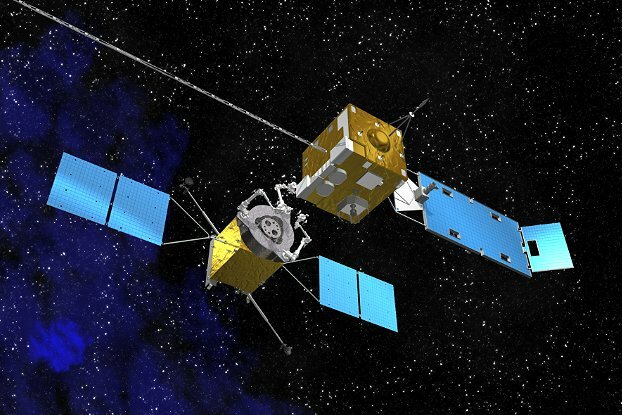 NASA also hopes that RRM technologies may help boost the commercial satellite-servicing industry. “RRM gives NASA and the emerging commercial satellite servicing industry the confidence to robotically refuel, repair and maintain satellites in both near and distant orbits — well beyond the reach of where humans can go today,” said Frank Cepollina, associate director of the Satellite Servicing Capabilities Office, or SSCO at NASA’s Goddard Space Flight Center in Greenbelt, Md. Since 2009, SSCO has aggressively advanced robotic technologies for a notional, free-flying, servicer spacecraft that could access, repair and refuel satellites in geosynchronous Earth orbit, or GEO. RRM is a critical part of this technology development campaign. “RRM allows us to take a major step into the future — a future where humans and machines can together take on greatly expanded roles in space capability, research and exploration,” Cepollina said. Veterans of five manned servicing missions to NASA’s Hubble Space Telescope, Cepollina and the SSCO team conceived the idea of RRM and saw it through its rapid 18-month development to its July 2011 launch on STS-135, the last space shuttle mission. A joint effort with the Canadian Space Agency, RRM uses the space station as test bed for the research and development of robotic satellite-servicing capabilities. The cutting-edge technologies RRM demonstrates could extend the lives of many of the hundreds of satellites currently in GEO. These assets deliver such essential services as weather reports, cell phone communications, television broadcasts, government communications and air traffic management. Servicing capabilities could greatly expand options for government and commercial fleet operators in the future, potentially delivering stakeholders significant savings in spacecraft replacement and launch costs. The January RRM activities employed the teleoperated Canadian Dextre robot, four sophisticated RRM tools and the washing-machine-sized RRM module to execute an end-to-end refueling demonstration on orbit. Unlike other demos, RRM is the first to test the robotic refueling of satellite interfaces not designed to be accessed or serviced. 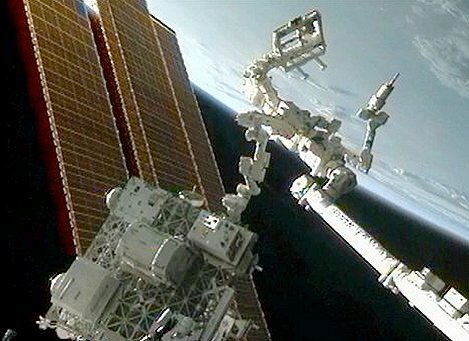 Robot controllers at NASA’s Johnson Space Center in Houston first commanded an RRM tool — working at the end of more than 70 feet (21.34 meters) of combined Dextre and Canadarm2 robotics — to cut a pair of twisted wires each 0.02 inches in diameter, the thickness of four sheets of paper. Additional exacting tasks followed, with RRM tools cutting more wire — used to secure satellite parts during launch — and unscrewing and stowing two protective caps before finally exposing the representative fuel valve. 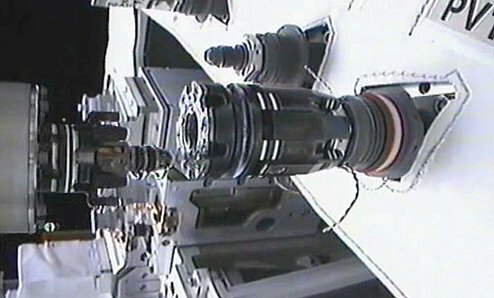 After the Johnson team threaded the RRM Nozzle tool with its attached hose onto the valve, operators at NASA’s Marshall Space Flight Center in Huntsville, Ala., sent a precise sequence of commands to activate the RRM Fluid Transfer System. Liquid ethanol flowed from the Fluid Transfer System into the Nozzle Tool and through the attached fuel valve, ultimately pulsing back into the module’s reservoir. Once the fluid transfer was complete, the Nozzle Tool used a novel technique to withdraw from the valve, leaving behind a clever “quick disconnect” fitting that would allow for a simpler and more efficient future refueling connection. Future RRM tasks scheduled for 2013 include thermal blanket cutting, and fastener and electronic termination cap removals: all firsts of their kinds. A new round of servicing task boards, tools and activities are slated to continue its investigations through 2015. The team’s excitement in completing the task was heightened by the treasury of experience and insight gained from the exercise. SSCO plans to present RRM results to date at the upcoming Satellite 2013 conference, as well as during space station panels and other events. NASA continues to test capabilities for a new robotic servicing frontier. In conjunction with RRM, the SSCO team has been studying a conceptual servicing mission and building technologies to address uncharted territory. They include an autonomous rendezvous and capture system, a propellant transfer system for zero gravity and specialized algorithms to orchestrate and synchronize satellite-servicing operations. On Jan. 15, NASA released a Request for Information to seek input on a potential public-private partnership to effect the full utilization of NASA-developed technology through an end-to-end technology demonstration of a satellite-servicing capability for client satellites located in GEO. The conceptual Restore Mission would potentially perform servicing operations in orbit in the 2018-2023 timeframe. RRM is proving the technology to achieve such a future mission.